Making a living in the Philippines can be hard if you are only looking in one direction, and that is, employment. With so much unemployed people in this country, and the age factor, its getting harder and harder to get employed. There are also very few industries in this country and so many new graduates that are seeking employment and most of them end up on the job they don’t like. Most of them end up in supermarkets and department stores as shelf stacker and cashiers, some are call centers agents and fast food crew. If you are an OFW, it’s a fact that working abroad is not permanent and unless you plan to migrate to that country, like for example, in Canada a promise land to many Filipinos and where many have already migrated to escape poverty in this country, you should also be thinking on how to invest your hard earned money through a business. 1) Online affiliate marketing – do you wonder why there are many websites and blogs on the internet? why are they making personal websites or blogs? do they make them all for passion or hobby? I admit that many started making website and blog because they do it for passion but some people dream of making it big someday. If you are a blogger and only using free hosting sites like Blogger.com or WordPress.com, you might not think of any monetary gain because blogging is free. But if you are paying for the hosting and have your own domain name registered with a annual fee, then you might as well think on how to earn money through your blog to pay for the expenses. The most common method of earning money through websites or blog is affiliate marketing. You promote other people’s product or services and you will be paid a percentage of the sales made through your blog or website. The more visitors a blog has, the more chances of earning money. There are also other ways you can use to gain traffic or visitors without having any websites or blogs. You can use social networking sites such as facebook to promote any of your products you want to sell or other people’s products and gain commissions. 2) Online selling business – online selling doesn’t require anyone to be a computer geek in order to sell online. There are many online classified ads and auction sites that you can use for free. The most popular are eBay Philippines and olx.ph (before it is sulit.com.ph). You can also create an online shop for free and multiply.com is the choice of many Filipino online sellers before. But now multiply.com closed down. There is no need to create an eCommerce site to set up you own online shop because there are many websites that offer free posting of your items for sale like websites I’ve mentioned before. 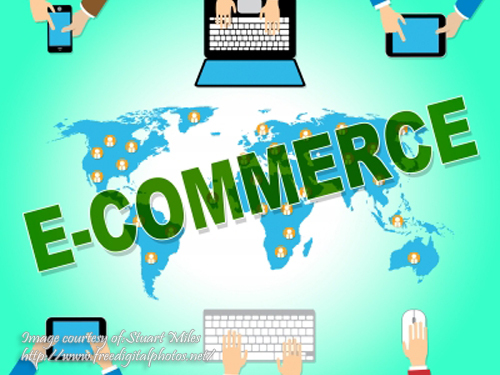 But if you are really serious and have the technical know-how of setting up an eCommerce website, then that is the best. You can also hire web developers if you have that budget for it. But still, it is necessary for you to know the technical details specially if you are in a bootstrap. 3) Aerial Photography – if you love taking photos, why not level up to a professional level and invest a DSLR camera? a good training is also required and of course a talent for taking good shots. There are various ways this business can offer services. On wedding, birthdays, anniversaries and other unforgettable occasions. You will also need a computer and a photo editing software to enhance the photos you created. And if you really want to level up to the highest level, why not try aerial photography? 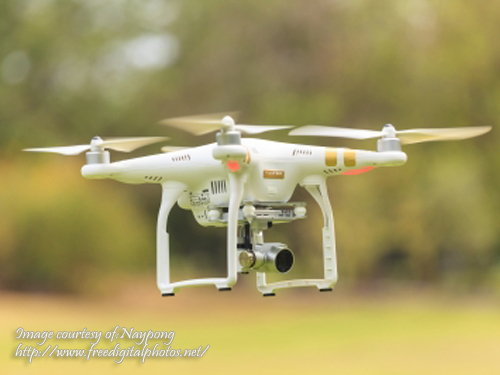 Technology has brought down the technicalities and expenses of aerial photography. You don’t need to hire a real airplane or helicopter to accomplish the task that requires hundreds of thousands of pesos just to take an aerial shot. You know how expensive it is to hire a real aircraft. But as I’ve said, technology has made it possible to bring down the cost. The answer to that are radio controlled airplanes, helicopters and quadcopters. Cameras are mounted to those R/C aircraft to take aerial shots. R/C helicopters makes a precise aerial shots than airplanes but the best R/C aircraft to take aerial photos or videos are quadcopters and multirotor copters. A more advance type of helicopter with four or more propellers. They are more easy to fly and stable than RC helicopters so taking aerial photos or videos is much more precise. Sometimes quadcopters are called drones but quadcopters are not drones if they don’t have a camera attached to it and a monitor for you to view the scenery. Drones are actually unmanned aerial vehicle. You are piloting the vehicle remotely as in you are in a cockpit. But before you enter in that profession, you need to know photography and flying those drones. I recommend buying a small cheaper drone for you to practice flying and taking aerial shots before buying an expensive professional drone. 4) Rice retailing business – since rice is our staple diet and a necessity, it is hard to think even one Filipino will not buy rice. Every Filipino eats rice unless you are born and living in Canada or USA, your staple diet is bread. Or if you live in the remote province where people can’t afford rice and makes sweet potatoes, corn or cassava as their staple diet. Starting this business does not require a lot of capital and a minimum of 30k is enough but some rice sellers advise that a capital of 60k is the minimum to make the business profitable. Aside from getting a business permit, you also need to secure licences in DTI for single proprietorship or SEC for partnership or corporation and also a licence from NFA. 5) Pandesal making business – or should I say set up a bakery business but what I have in mind is selling only pandesal. So why pandesal only? 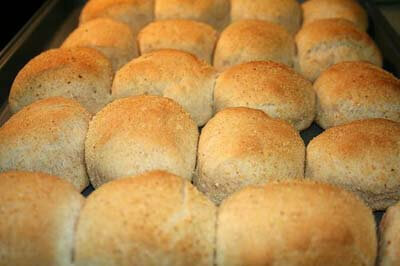 Pandesal is a common bread eaten at breakfast and it is second to rice which is a staple diet. It can be also eaten as merienda or snacks. You don’t need to learn baking various bread and cakes on a bakery you will set-up so you can concentrate on one product. But just be sure your pandesal is quality bread and not selling it just for profit because it is the taste and quality people are after. I have a neighbor whom I bought pandesal in the morning every other day and I asked his helper how many pandesal they sold every morning, he said 1,000 to 4,000 pcs. 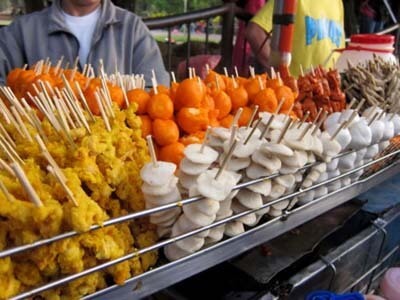 6) Street food business – Isaw or grilled intestines is the most popular street food among Filipinos. There are also many kinds of street food business that are popular. Fish ball, kikiam, cheese sticks, squid balls and chicken balls that you can buy in small packs ready to fry. There are also other street food business that you have to process your self before grilling on charcoal like the pig intestine or isaw, chicken intestine or IUD, pig ears or walkman, pork blood or betamax, chicken head or helmet and chicken feet or adidas. Kwek kwek and tokneneng are also very popular. These are shelled boiled eggs and coated with flour batter mixture and then fried. The only difference between the two are kwek kwek is quail eggs where tokneneng is duck egg or chicken egg. 7) Meat shop business – meat shops are common in wet markets. You can set up a meat shop business there side by side with other many meat shop owners but what I have in mind is setting it up away from the wet market where there is less competition. You can put it where there is no meat shop existing in the place but be sure the location has enough foot traffic. 8) Tarpaulin printing business – there is a good market for this business and there are various ways a printed tarpaulin can do. One very popular application is on food carts. Printed graphics on tarpaulin is very attractive and it is tough too. On other occasions like birthdays, anniversary and even on a funeral tarpaulin is used. political candidates on local and national election also used printed tarpaulin on their campaign. 9) CAD plotting business – this is a very specialized business and only caters to architects and engineers. 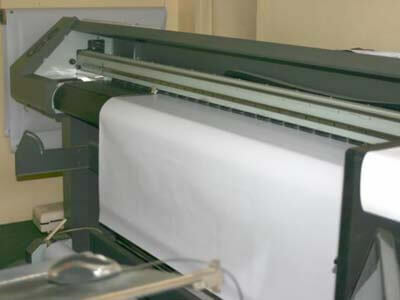 A plotter is very similar to a printer and the only difference is a printer can only print letter size or A4 size papers whereas a plotter can print very large paper size. It plots designs and drawings made by an architect or engineer on a drafting paper where sizes range from a very small 9 x 12 inches to 36 x 48 inches. 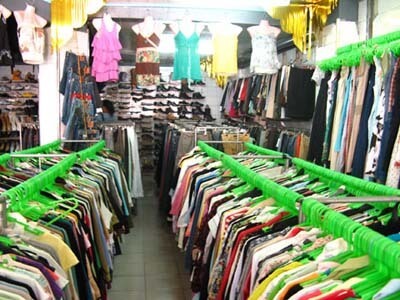 10) Ukay-Ukay business – for those not familiar with this business, it is selling used clothing. The used clothes are imported from other countries. Some of the clothes are overrun (still brand new but didn’t pass the export standard) but still good. The reason why many Filipinos patronize it is because of the cheap price. It only cost a fraction compared when buying in department stores or boutique. 11) Food Cart business – many Filipinos are very interested going into this business and most of them, when they hear or see a food cart, what they have in mind is “franchising”. But come to think of it, why will you franchise a food cart that is not well known or never heard of? Many people have the wrong perception of food cart business so many food cart fabricators victimize innocent people telling them to franchise their food cart for a very low price with no royalty fee but their food cart are not popular or well known. So you will end up selling their product which they have sold you at a higher price. You are literally selling their product, you are now their salesman and not a business owner and you will have to pay their franchise fee. But on the contrary, if you plan to have food cart business and cannot afford a well known brand with a pricey franchise fee, you can set-up your own food cart and your own brand by contacting a food cart fabricator. Just be careful not to contact those who sell franchised food carts, only those fabricators who makes made-to-order food carts. Who knows, if ever your business became popular someday, you will become a franchisor to many people who wants to franchise your business. 12) Tiangge – a small rented space and seller usually sells dry goods. This is not new and the word “tiangge” is just our local term of the English word “Flea Market”. The reason why it is very popular among Filipinos is because of the very cheap price of the items sold and it was already stereotyped as “cheap items”. The usual place you can see them are parking lots or malls. 13) Cellphone loading business – the good thing about this business is you can start with a small capital. The reason why is because of the recent technology of eloading, a universal type of loading where you can sell load on all telecom networks including prepaid game cards. There is one universal loading I know, the Vmobile Technologies load E extreme that you can try. Unlike if you want to be a direct reseller of big telecom companies like Smart, Globe or Sun Cellular, you need a big capital and to start an eloading business. 14) Shoe and bag repair business – there are tons of replica shoes and bags coming from China, and because of the cheap price, almost everyone can afford replica designer bags in the fraction of the price of the original. But because of the poor quality, these products are easily damaged and it is a waste of money if they will throw it away. So the easy option is to go to a repair shop. 15) Laundry and dry cleaning business – sometimes is it more practical to get the service of a laundry shop than hiring a laundry maid to get the job done specially if you only have few clothes. There are also some clothes or comforter that cannot be washed with an ordinary washing machine and if the clothes or bed sheets need to be dry cleaned, you certainly need a laundry shop. 16) Barber shop or Beauty Parlor business – although you can live without having a haircut, and if you plan to become a hermit, a bum or just a hippie or live under a rock for the rest of your life you don’t need a barber or a beautician. A good reason why it is a good business is because people needs a haircut every 1 to 2 months to look good and be comfortable. As for me, although I’m not vain or very conscious on my hairstyle, I’m not comfortable if I will not go to a barber shop at least every 2 months. I admit that there are lots of barber shops and beauty parlor sprouting every where and there are lots of competition already but since this type of service is a necessity and consumable, there are still many customers who needs this service. 17) Selling native delicacies – there are many kinds native delicacies you can sell and the amazing part is many Filipinos love to eat kakanin. Some of the kakanin or native delicacies are suman sa ibos, puto, cuchinta, bibingka, halaya , sapin-sapin, biko and maja blanca. The only disadvantage of this business is the goods are perishable and the kakanin should be sold within the day. Some native delicacies have longer shelf life like barquillos, piaya, otap, puto seko and other dried goods. 18) Personalized T-shirt printing – I saw this business in a mall and it’s doing great because I see many customers availing of the service. Technology made it possible to make personalized t-shirt printing in a few minutes. You only need a computer, Adobe Photoshop and a t-shirt transfer paper and presto! you already have a t-shirt printing business. 19) Selling washing machine and electric fan parts – these two appliances are the most basic thing a human being, or more specifically a Pinoy needs to live more comfortably. Since we live in a tropical country, the temperature is very warm and electric fan is the only choice for most of us. And for washing our clothes, we need a washing machine. 20) Health and wellness products -these products are quite common and many companies are jumping into this kind of business. The reason is people nowadays because of the modern lifestyle are prone to stress. Most of the jobs today are very demanding both physically and mentally. That is because of the technology. It is ironic to think that we invent computers and robots to serve humanity but what is happening now is we are competing with each other in order to bring more new technologies. For example, since the invention of the internet, call centers sprouted almost every where in our country to outsource the industrialized countries for them to get cheap labor. But since our time zones are different from theirs, we have to work on night shifts all the time. So call center agents are exposed to numerous illnesses like hypertension and obesity. Most young adults today have hypertension because of the new lifestyles not only in call centers but other online jobs or career or just even entertainment and pleasure brought by the new technologies. People now are also becoming lazy to cook their own healthy food and turn to fast foods all the time. Which in turn produces many kinds of diseases due to being overweight. Year after year the demand of wellness products will rise. Another example is the factories that are built to produce the new gadgets and products for the new technologies. If you only know how polluted is in China now that people near the industrial zones have to wear filter mask or pollution mask just to breath clean air. Hoping that the business ideas I’ve shared has helped you decide on what business to start this coming year. Please also share this on other social networking sites like Facebook, Twitter or Google Plus. Good day, I am a young aspiring entrepreneur. I have an online business before selling RTW , men’s shoes and assorted stuff. I would like to ask if what are the best way to maintain and sustain your business? I have been searching about different unique items but I dont know if would be sellable and I am afraid that my items wouldnt be sold.Right now, I am planning to use my credit card to start up a business. I am hopeful that you will be able to help me. thank you and God bless. Please email me [email protected]. I’m interested in online business, can you help and teach how to do it. My email address: [email protected] CP# 09279477333 Thank you. am roma, isa akong ofw..gusto ko sana mag negosyo ng processed food..ang location ko po sa pinas ay sa norzagaray bulacan. hi all, I’m planning to build rice retailing business in Calinan, Davao City..I would like to ask your ideas and advices how to start this business po. kailangan ko rin po rice suppliers..
Wow! This has to be one of the most active blogs for businesses i have seen in a while. The creators are very responsive. Anyway, thanks for sharing this ideas. With the tech advancement you can virtually operate a business in your house. I have been connected with a lot of businesses listed in here, I have made a lot from them and I can say there is still untapped market for these. I plan to set up a rice retailing business. Kaso wala akong contact ng mga rice suppliers. I’m from Nueva Ecija and Marikina. Hi, I just wanna ask po if anong magandang business for beginners. I’m just 22 years old but I want to have my own business na papatok. Where can I buy used clothes if I like to sell ukay ukay in Narvacan, Ilocos Sur? Hi Manny, thanks for sharing. I keep on looking for an answer, my daughter has a drugstore and i am planning to set up a business beside her.However, my passion is baking and i intend to set up baking supplies while receiving orders of bake goods for parties. my question is do you have any idea how much capital do i need in opening a small baking supplies like ingredients and tools? beside a drugstore, do you think it will click? since i am an OFW and currently working abroad, hiring a saleslady with my daughters guidance and monitoring is ok? i want to see the outcome or result before i finally decide to go home for good and just manage my own business. Hi Louie, I’m afraid to say I don’t have an idea about amount of the capital you will need to set up a bakery business. But you will know it if you already know what equipment and supplies you will need and finding out how much they cost. And about putting it beside a drugstore, it will also depend if the place has many people passing by or there are no or few competitions. Hello everyone. I am from Bulacan. I want to know suppliers for school and office supplies for my planned business. Thanks for your help. I want to start a rice retailing business. I am from Bulacan. Can you share with me contact numbers of dependable suppliers? How much is the initial investment capital and ROI. Thank you. Hi, this is the 1st time that I will open a business.I would like to put up a small sari- sari store in front of our house.Are there any suggestions or advice of what would be the initial inventory that i would need for my store? My initial capital would be 15- 20k. My email add is [email protected]. Hi Terence , I’m currently residing in Sg ..I’m Filipina married to Chinese local .. Maybe we can discuss some ideas about doing business in Philippines ? I’m planning to set up a business there and looking for a partner … I believe in teamwork ! I am actually looking for a partner, a trading business of disposables and other consumable items, got suppliers direct from factories. What kind of consumable items? are you still looking for a partner? if yes, where are you located? and you may send me details to my e mail: [email protected]. Hi Terence..I am also here in Singapore and currently in the implementation stage of a business plan for a dialysis center in Davao, I already have an investor on hand but if you wish to know more about it..please feel free to reach me at my email [email protected]. I would be able to share with you other business options. 1. Prices Matter – If you are in a residential area, make sure that your price competes well against other vendors. Does not mean you have to price lower, but you have to justify your price according to how big your skewers are. 2. Variety – You cannot just rely on the good old fashioned BBQ, Isaw, and Betamax alone. They are good sellers, but customers will try anything new that you offer. We tried offering small servings of chicken teriyaki and they became one of our huge sellers. 3. Offer something different – everyone can sell barbecues, but most of them will have the same taste. Do not rely on your “sawsawan” alone to have an edge, offer something different. We put in a special sauce in our skewers and they became the talk of the area, and customers started buying a minimum of 4 bbq sticks at a time. 4. Practice cleanliness – Strict rule is to do not allow double dipping in vinegar dips. Also do not rely on markets to clean the isaw for you. We still clean them up after buying stocks and our vinegar is replaced with new ones after 2 days. It somewhat hurts a bit on your expenses but it shows that you care for your customers’ health. How much does it cost you to set up this business? I’m also interested! Hi good day to all. I am john from dumaguete negros oriental. Gusto ko po sana mag-open nang electrical supply sa dumaguete. Ok ba na business ito? Magkano ang kailangan na capital dito? At saan tayo pwede makakuha ang murang supply? Please help. Salamat. Good day ! Im also looking a good business partner to start a business of computershop . May i know what location do you lived ? hi! im planning to start ukay ukay business.. how can i get this ukay ukay business? where can i get the items near here in tandag? how much po ang kailangan para mag start ng ukay ukay po? really need your reply asap… thanks and God bless. Hi meron po ako mga ilang imported shoes and bags binebenta ko po as bundle price and some slightly used gowns if interested po kayo bilhin good as new po. Hi I am beginning to start my poultry business and I am willing to be a wholesaler of live chickens. If you want to do business with me please reach me at 09501290777. Im in North Caloocan preferrably I would like to enter the Bulacan and Quezon City Markets. hi interested to buy wholesaler chicken. please send me details. I’m from Cuyapo, Nueva Ecija. Whoever wants to sell monggo beans, we can supply as long as within the area. For rice, unfortunately, it’s only seasonal. Normally during months of October-January only. We also have mango if it’s in season. Just send me a message at [email protected]. paano po kya mag start ng electric fan at washing machine spare parts magkano kaya ang starting capital? May I know if were to get or whom should i coordinate with to a supplier for RTW for online shopping business. I want to start online business since I have already the e-loading business. You may reach me or send me an e-mail @ [email protected]. hello there we have a stall in divisoria and i can supply rtw for ur online biz..
Hi Mam do you accept consigment basis for ur rtw biz? Thanks. Hi ms efrilyn….ask k lng po kng pwede po b consignment basis for rtw business po..
Plano ko po mag business ng vape shop/electronic cigarettes. Any idea how much the capital for this business? And how to get supplies for this business. Hi Tony, as of the moment I have no idea how much it will cost. The best thing to do is asking those vape shop owners how much it will cost to start that business and where to get the supplies. You could also search google on the suppliers of vaping products. Hi manny, im doris and planning to franchise one of the packages of expressway and the online travel business. they have both requiring a franchise fee. Plaase help me to decide if these businesses will gain profit? Im planning also to attend a money changing and pawnshop business. Do you think these will add learning to someone who is trying to have one? thank you and looking forward to your reply. I am justine from Davao City.saan po makakuha ng supplier ng ukay-ukay to start a small business.At magkano po ang kailangan pangcapital? We can supply you a bundle of ukay, branded from US. How much per bundle ? any suggestion kung ano magandang negosyo sa davao. First you need to check first if yung location mo is matao or madaming bata. I had a computer shop business for almost 2years and still running. Then canvas for computer unit na hnd totally high end pero dapat pang gaming PC para mahikayat ang mga bata. 1. Walang PLDTDSL Sa area anong interprovider ma-advise mo? 2. Nag Punta ko Sa Gilmore IT center Yung mega show offers me diskless or with disk internet café? alin dito nag mas ok? 3. And offer nila for the installation service 5K pesos includes wiring Ng cables, OS, windows, games, timer. Ano ma advice mo Para makamura ko pero good performance. 4. Do I need to get a license windows and office or pirated from the technician? 5. Ok naba and AMD A6 units Para sa gaming work station? 6. ano ang mas ok Na network hub for 10units? Please advice and than you. Hi I would like to put up a business around U belt area. My business idea is unlimited street food business since uso naman mga buffet ngayon and my target are students from U belt na mahilig sa street foods. I want to ask if anyone may alam ng magandang location around that area. Kindly email me at [email protected]. Also looking for street food suppliers like fishball, siomai, kikiam etc. Anyone interested in Siomai and Siopao business? You may send an email to [email protected] or call 431-7993 and look for Jheron. Thanks! 1. Transportation – Kase from farm, I have to find e very efficient way paano ko makkuha yung eggs papunta sa stirage ko. Eto din yung current problem ko lalo wala ako truck or ssakyan personally na available, may Owner type jeep man kmi pero since malayo ang farm hindi pwede. Mahal din ang mag rent na nakkita ko sa net. So now, I’m still stuck on this issue. 2. Egg Trays – Pero as of today, solve ko na yung issue na to xe nakabili na ako ng mukha namang matibay na trays. 3. Clients – Nung una, ang hirap mag-alok lalo na makakaharap mo e yung mga mayayabang kausap na tao. Pero so far, d ko naman issue yun xe may experience naman ako sa pakikipag usap sa tao. 4. Shelf Life ng Eggs – Kelangan xe talaga well ventilated yung storage ng itlog else madaling masira at ending may perang mawawala sa yo. Also, monitoring ang pinaka importante din para alam mo kung anu unang ilalabas sa bentahan ng hindi ka nabubugukan. 5. Accounting – Last man eto pero eto ang pinaka importante sa lahat. Eto kase yung reason bakit tayo nag nenegosyo or namumuhunan – para KUMITA. *Sa ngayon, sana may makatulong sa akin, at hindi manloloko, kung panu ko masosolusyonan yung problema ko sa Transportation. I can help with the transportation of the eggs and accounting matters. Just contact me here at 09097978072. I’m interested selling rice business, gusto ko Malaman nag presto Ng mga bigas nyo kung pwede e benta at good ROI. Hi, san po ang location nyo, and kung may client po kayo sa North Caloocan baka pwede po sumabay (if ever lang) , then kung may minimum sack/s of rice po kayo na order, thankyou. 09420173109 – baka hindi ko po kasi mabasa dito yung reply nyo, thanks po ulit ….. Checking all the above mentioned small business ideas, i came to conclude that launching just one e-commerce website is sufficient for new startups. Startups can sell anything on their website like beauty products, washing machine and electric fan parts, or anything else like grocery. There are many e-commerce platforms available online like Growcer, Yo!Kart etc that can be used to launch e-commerce website most conveniently and at low budget. Good day Sir Manny I’m OFW here in UAE and im planning to start a small business but I’m still confuse what kind of business do i try. Any idea is appreciated thanks! Hi Anne, It always depends on your passion and what is popular or in demand. Just read on what I’ve written above on the blog and choose what you like. From there you will have an idea. When you start the business you will learn what to do and what things that you shouldn’t do. In short you will never know things about the business until you experience running the business. And if you don’t have the passion on the business you engaged with and if you encounter problems, then that is the end of your business. I’m planning for rice retailing business here in Taguig. Please send me your catalog or price list. Hello, I’m interested opening a laundry/dry cleaning business in Cebu. Any advice where I should purchase the machines? And any further advice is greatly appreciated. Hi, Sa SM appliance kalang Ata pwede makabili Ng washing machine for laundry business kaso problema wla warranty Yung house hold washing maching pero hung commercial at mahal Na washing machine cover Ng warranty. hi im planning bicycle dealer or store , saan po ako makakahu ng mga bike at mga spare parts na direct sa manufacturer, any idea pls help, thanks. tanong ko lng sure bet ba ang target market if i am going to invest in beekeeping? Ok po sana yang alok nyo, kaso malayo din kc kc samin at balak ko po sana auto supply start ako sa maliit palaki. umpisa po ako sa mg filters, oil, inetrrior, etc. gusto ko po sana mag tanong kano po starting capital mag tayu ng small bike shop business. Hi jhelly, im planning to start a bicycle parts and accesories. Im from makati. Heres my email add. [email protected] thanks! Hi christian mendonez, im janice here at gen.tri cavite. I just want to offer you a proposal, if you are still need a supplier for your siomai business, burger and many more. No worries becoz we our commissary, we have quality products and have a clean factory operated since 1992. And also you may choose other food concepts if you want to add some. Pls contact me @ 0917-6396962. Can you please send me the catalogue and pricelist of your items. hi Janice, Sa alabang market south station Maraming supplies siopao, siomai, burger bun, patties mura din better u check mo muna. Hi Christian Mendones, magsimula ka muna kahit sa maliit lang muna. try to check some recipes online for Burger. Marami kang recipes na makikita. We make burgers from just combining fresh ground beef with salt and peper, worchester sauce, egg, onion, garlic powder and some herbs like rosemary, basil, parsley, oregano. Then you can grill them or fry, add cheese. Sa french fries naman, get potatoes, cut them into strips, then put them in water for a little bit and let them soak, then dry the potatoes and then deep fry them. Then season them when they’re done. Hi I’m planning to put up a rice retailing business. Gs2 ko lng malaman cno pwed mukhang supplier near las pinas? You want a rice supplier? Meron kaming palayan pera nasa bukidnon siya. If you want you can contact me. 09054419066. Thank you..
HI i am Anish from INDIA and want to start a car Wash business in Philippines. anyone out there please help me to and guide me know how to start. Hi Anish, I am from Cebu and can help you with that. Please email me at [email protected]. Thank you. Hi Irish of Davao City, can i have your contact number please Im interest in rice business. hope to hear from you. thanks! hello location po for rice business nio? Hi. Online marketing is easy. All you need is fb acct to have an fb page (sort of website). Once you have it you can boost the fb page. What does boosting do, it will commercially prompt (automatic) to internet sites using FB. Please send me business opportunities. Distributing or retailing business. hello giselle, we are selling designer scent inspired perfumes, specialty soaps, bags, perfume scented sanitizers and hand lotions. if you’re interested to be a reseller/wholesaler pls feel free to contact me through my email [email protected] or txt me 09423850797. I’M CHRISTIAN AN OFW HERE IN SAUDI ARABIA AND I’M PLANNING TO START A RICE RETAILING BUSINESS or SPORTS APPAREL (CLASS AAA), I NEED A SUPPLIER NEAR IN MY PROVINCE IN BILIRAN LEYTE, HOPE YOU CAN HELP ME REGARDING THIS AND HOW MUCH WILL BE THE NEEDED CAPITAL? Hi! I saw your post here and I am also interested in making business related to sports. Have you started yours? hi i am running a small business (party needs) but i am planning to add some baking needs especially cake molders and gum paste and fondant cutters any idea where can i find supplier? Hi, Maraming bakery supplies Sa divisoria mas pura din. First choose rice retailing business but we need supplier to maintain my retailing what I can do in order to produce need of more advices. Second choose I am interested of tarpaulin business, the problem where I can bye that machine which is cheapish price in the Philippines anyone can help me? Hi Christian, its also my plan to put up rice retailing business in Samar soon. I am thinking of some bussines. Can u pls help me. My budget is around 150k+. I want to consider the rice store..But how I can get started.?? I will start my first bussiness in june ,Ofw po ako dto sa dubai susubukan ko yung foodcart ng Siomai house ,mabenta kc sa panlasa ng masa at kung wlang budget ang mga studyante sa murang food sila umaasa..
Hi! My I’m interested on T-shirt printing business. Anybody knows where to buy the printing machine? And other materials needed? Thanks! Im working in a printing press here in Dubai and i know several suppliers of machines for printing t-shirt. If you are interested; i can be of help to you. Send me email at [email protected] if interested. Marami Sa raon nyan try mo e check…ikot k Lang doon makikita mo Yung chowking malapit Marami dyan supplier o store. Hello! :) I’m a nurse entrepreneur from Davao. I’m getting involved sa online business kasi wala pong pera na pinapalabas. All you need is to make your own business acct or khit ung personal account mo po. Look for a supplier na mapagkakatiwalaan mo tapos add many friends as you can.Upload pictures of the products tapos ikaw na bhala kung magkano ang patong mo sa mga items mo. :) Siguraduhin mo din na hindi mahal ang pagbebenta mo sa mga items pra mas mrami kang magiging buyer. Hope it help. Paano po ba ang gagawin sa online business. Gusto ko po yan. Kasi wala pong pang start at walang maraming babayarang mga permit. Please help me po at guide. Hi roxanne..! Can you email ne your business opportunity online. My email is [email protected]. thanks. Looking forward. Hi Ms. Roxanne, I’m an OFW and interested on your on line business. Can you please send me any information about your business. Thank you in advance for your prompt response. Hi Roxanne, I’m interested with online business. Pls email me at [email protected]. i am interested in an online business. what is your opportunity? Hi Roxanne, Pls help me to start online business. Thanks! I want to share with you a business opportunity to become a dealer/distributor of Nworld korean skin care products. Let me know if you have time next week. our main office is in Pasig. You can do this even if your a student, employee or ofw. If interested Msg me sa skype. I like that kind of business. Just need guidance on how to start/ do it. Hi Grace! How did you find trusted suppliers? Can you recommend a few? Yun kasi ang hindi ko alam pano hanapin. Thanks in advance! Hi Maam grace i want to involve in this kind of business but I dont know where to find a legit and trusted supplier. Can u please refer me to your business partner/supplier so that i can assure my payment too. Ok Bayard center Kaso mahal any franchise fee nila. Just planing to have my own business dito sa Iloilo Ukay Ukay any one can help me ..?! i would just be starting this opportunity if there is a need for it. let me know as i could start you with what i have right now. thank you! @ Maria hello is it possible to have your contact detail please. your Phone number or email would be great. hope to do business with you soon thanks. Hi! !jasmin maybe you are interested in korean clothing,jewerly and beauty products. hello hilda. your business interests me. can you tell me about it? Good day Maria.Interested about you business proposal for wholesale used stuff.kindly send details/feedbacks.thanks. Hi Maria .I am interested on your business proposal..pls Kindly email me here [email protected] thank’s in advance . hello maria, got your message, i am from cagayan de oro city and wanted to join you in this venture. pls message me more info. thank. Hi, I want to start online business. Kindly email me [email protected]. Thank you. Hi! If u r interested RTW from Thailand i can be a supplier.The quality is good and affordable price too.The amount you have , u can already start an RTW shop.kindly check my fb page Fhaxquisite.Thanks. Good imfo.im ofw for 20yrs d pnlad s mga tinatayo bznes sari2store merchandiz i sell all dry good to cosmetics small tahian i closed it lugi.now im back abroad. .i lost a lot of money in mlm .investment online hyip lately this jan…actually ..im have a running bzness already till now dealer of balot n penoy n ice cream on stick..i have vendors na tagatinda on street before i left phil.now im planning to go back interested of selling icecream on stick email me or contact me watsapp +40724391261. I need bzness partner also.. I am planning to put up a tutorial business related to computer. anyone interested please let me know..I want to put it up in cavite area. Being OFW I’m planning to start small business like apparels. Any info or details para mayroon po ako ng ideas ng mapag kunan ng product please let me know. I’m luna a OFW, I’m always thinking “for buying here small amount of products and sell it to our town, but what I’m afraid of is, if it would be considered as smuggled”, pls advice me, thanks again for response. If it is only a small amount, then it is not considered as smuggled. But how will you profit from selling just small amount? Hi Luna, from what country are you as an OFW? I would like to get an idea what item to bring for a retail business. Thanks for your prompt response. Hi, Salamat sa maraming ideas here to start a business, im thinking to start the online business first and see what will happen. Thanks you so much. Hello! Just want to seek an advise. Im just 23 years old and I’m planning to do a small business just here in front of our house. This is residential place and our house is located exactly dun sa intersection. Plan ko po maging dealer ng Ice Cream ( Dan Erics) since walang ice cream shop dito malapit samin and sobra daming kids sa area namin. Any suggestion po kung ano pa okay na business at saka okay lang ba na barangay business permit lang kunin ko? Thanks! Okay din po yung Dan Eric. Masarap talaga ice cream nila. Tungkol naman sa business permit, tanungin nyo din sa barangay kung okay na yung business permit nila. Sasabihin naman nila sa iyo kung kailangan sa munisipyo kayo kukuha o kung pwede na yung permit nila. Hi! Pwede kang magtayo ng rice supply. Mabilis lang naman ang ROI since mabenta. Regarding rice business I can help you with the supplies. Just email me at [email protected]. thank you! Meron akong mindoro rice at ang bodega ko ay narito sa batangas. share ko lang po, may business kami sari sari store..per day kumikita kami P400 pesos plus(tubo) kapag inalis yung puhunan..so kumikita kami ng P2800/week, P8400/month,and P100,800/year..tyaga lang..then, next month dadagdagan namin ng NFA rice…10k na puhunan pwede na..kelangan mo lang kumuha ng permit sa NFA office..sana nakapagbigay ako ng idea sa mga gusto mga business like sari sari store! Hi Manny. Im glad I came across your site. Very informative. Setting up my business fr home like retailing rice,bakery; will I require other license type for that apart from those that you’ve mentioned? You a have very informative blogged. but not inside of the malls,Because they do charge a high cost of rental for a tiny space. Basically how much do i need to set-up a this kind of business in gross capital? What are the requirements to start and how many months to start the operation. A capacity of 50 pax will do. I really don’t have an idea how much it will cost but better to start small. Test the market first if your business will click. Find a cheaper place to rent but it should have a good amount of foot traffic (people that walks to that place). Any business is a trial and error and you will learn from it when you start your business. What is important is what you have learn from your business, things that you should do and things that you shouldn’t do. Hi everyone. I am a mother of three and had resigned fro work to focus on my kids. I’ve been wanting to have a small business but don’t know what sort of and how. I’m quite interested in selling items online. I would be very thankful for any idea. You can sell almost anything online but what really matter is it should be what you are passionate about and what is in demand. Just browse ebay, amazon, olx.ph and other online shops and look for the best sellers. That should give you an idea. Me and my wife are looking for business to start. We are thinking of clothes and apparels? Maybe you can help us on how to start? Thank you! I want to start a food kiosk business. However, I don’t know where to get my supplies. I don’t know who I can trust. Plus the issues of food poisoning lately, opening a food business is quite daunting. Please advise. thank you. Ako rin po need ko online business partner, I can supply designer bag from Europe Prada Gucci jimmy chop ferragamo etc…..
Hi how much are the prices for the designer bags? Gusto ko pong mag start ng business online. Pano po ba at saan po ako pwedeng makakuha ng items? Kahit ano po. Damet, pabango, makeup etc. Tenx! You can use the power of social media like facebook and other social networking sites. You can try posting your product in online classified ads like olx.ph. Ms. Neneth, kindly give your contact like email add etc. I am planning to have small business to start with and I want to learn on this Tinapang Boneless Bangus. this is also great time to market here. I want to share my experience in selling online. We sell cosmetics online. I put up a decent website of my own with around 5k pesos which we launched on May 2014. One year after our launch, we made over 500k in sales. All I can say is that there is money in selling online as long as you work hard and smart. May I know what cosmetics are you selling online? Kinda interested in this kind of business. 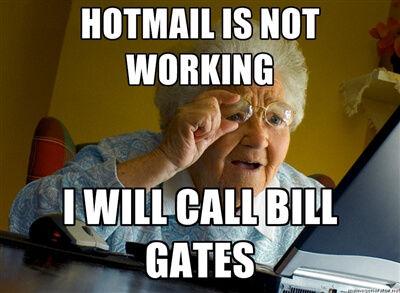 Can you email me? Hi, I’m interested in this kind of business. Please help me how to start it. I also know a rice dealer, just text or email me for the price. This article is really helpful. The long list of comments speaks for itself. Thanks Manny! Hopefully there will be more like u who will write this kind of stuff. More power to u! I just started a small apparel business. I’m a working mom & i sell clothes to my officemates. I’m looking for dealers. Clothes are really cheap & it’s good for a start up, low capital needed. Also good for tiangge or bazaar. If interested, email me at [email protected] or text me at 09178498380. Good day po! This is Lance, from Cavite, Philippines but now here in China for a project and will be back to our country soon. I am here doing designs of Furniture, Car/Vehicle body and Landscape. As of now I have developed a green and eco-friendly vehicle which is very suitable to our country Philippines and other asian countries which is called the Electric Tricycle or E-Trike. The design and features are surely prettier, easier and cheaper than the existing units in the market. All plans and details including the scaled prototype are ready. Also now I am limitedly inviting investors who can also understand my purpose like saving our mother earth. If you are one of them please don’t hesitate to contact my information below for more detailed information for this project! Thanks! Sorry I think I’m not capable of being an investor for now but maybe this blog can help you find like minded investors that are interested in eco friendly vehicles. I’m interested. Please get back to me. Hi, Manny tanong ko lang po Kung alam nyo Kung saan pwede umorder ng wholesale na mga ceramic and bisquare shape to paint. Meron po ba dito sa pilipinas or if anyone knows pls let me know. Maraming salamat po. 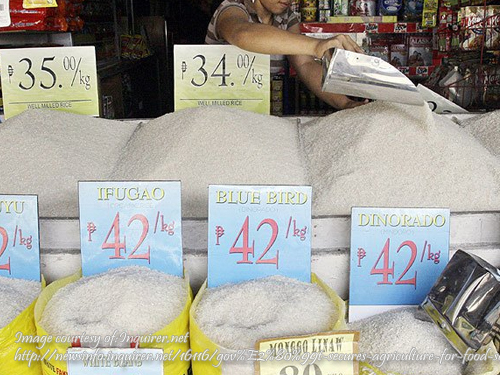 Hi, im interested to start rice retailing business in Surigao. Would it be possible for you to be my supplier? Please send me an email at [email protected] so we can discuss any possibilities. Hope to hear from u. Thanks! Hello po ma’am Irish, i want to start a Rice Retailing business… Saan po kaayu pwede mapuntahan dito sa Davao City…? How to contact you? Hi! I have a huge source of forest fresh bee honey and I want to have regular market contacts retail or wholesale. Can your site be of help? thanks pls txs me at 09175830351, God bless. I have a tarpaulin printing business located in Quezon City. Its doing well, especially when election comes. Upfront capital investment was indeed large at the start, but we are slowly pickup up. Apart from my actual store, we also make sure to post to online classified ads site such as olx.ph ayosdito.com and mybenta.com. It helps with generating extra sales and exposes my market outside of QC. The ideas provided here are really good, but most must have to think how to differentiate to succeed. hi ceasar, i’m eugene from Zambales. i’m planning to start a tarpaulin business in my home town. Meron ng isang printing dun. i need your tips/advice are the things needs be consider before diving to the business. 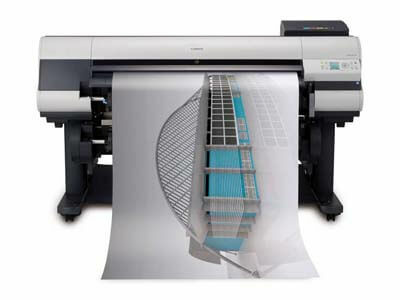 Where we can get reliable suppliers for printer and its materials? What business plan or strategies you can share?